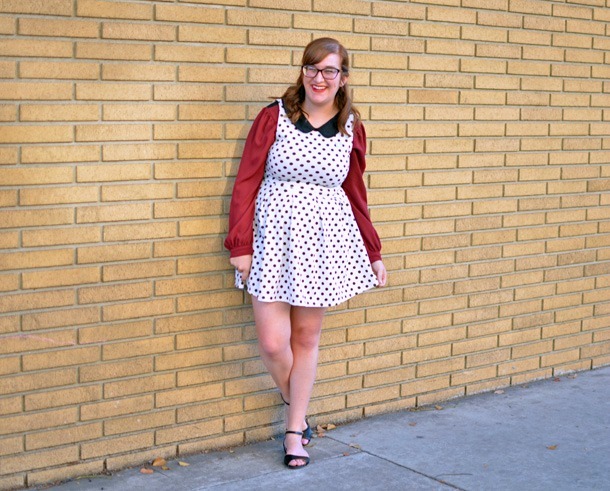 You know how you really don't need another polka dot dress, but then you see one and you just decided to go for it anyway? Just me? 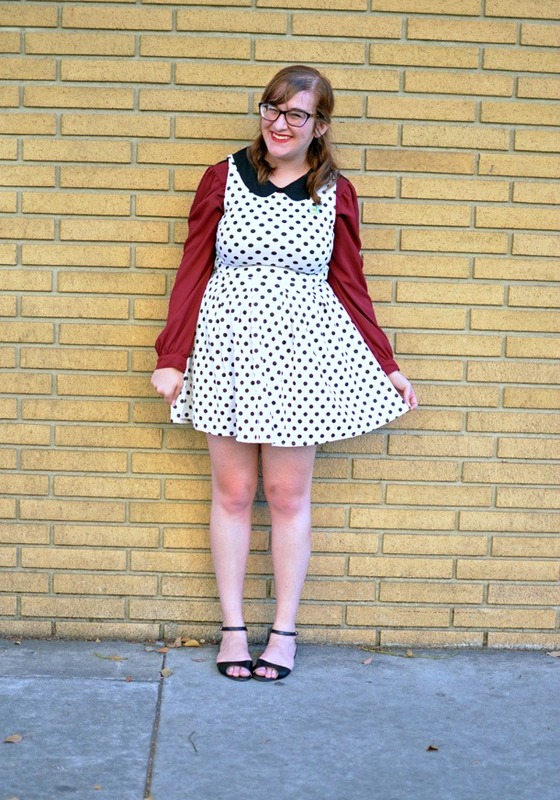 I swear I'm constantly selling and repurchasing various polka dot items. I suppose I'll do so until I'm completely satisfied with my closet. Or maybe I'll just drown in a sea of polka dotted items one day, and you'll never see me again. Who's to say? I picked up this dress while selling things to Plato's Closet a couple of weeks ago, and despite the large stain that I later noticed, it feels like we've always belonged together. 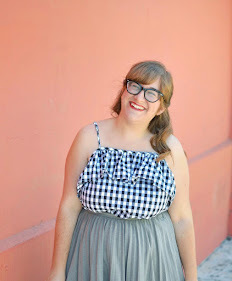 This Modcloth top is one of those things that I always kind of forget about, which is a shame. It works perfectly as a layering piece. Also wonderful about this outfit? 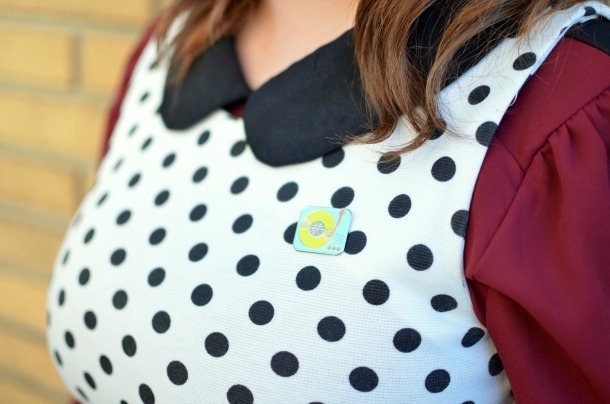 The record player pin from Lisa's shop, Color Theory. The lighting is kind of weird in these photos so it's a bit difficult to see, but Lisa made it, so it's pretty obvious how adorable it is. Can my life just be as adorable and colorful as hers please? It's really all I want. Great layering girly! I am a pin FIEND. I usually reserve them for bags and have only recently added a couple to my jean jacket, but I love the idea of just sticking one on a dress. 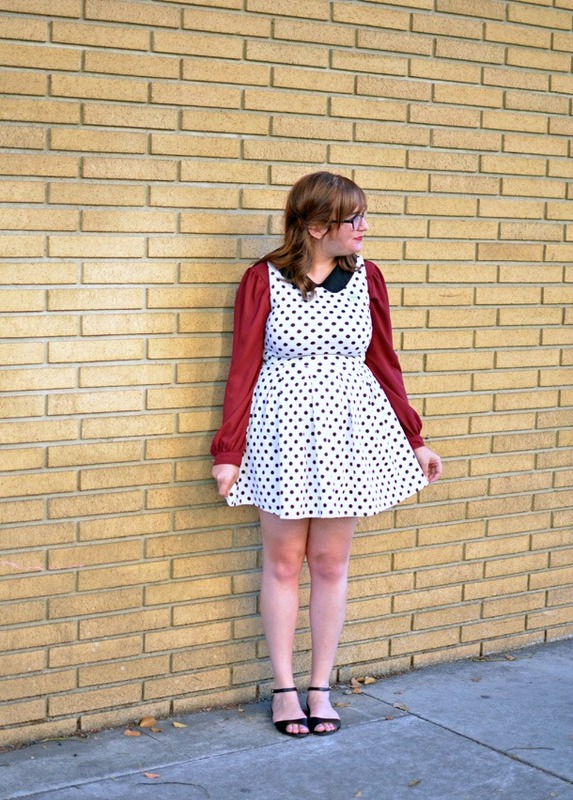 I think polka dots are a really cute pattern and in my head, they've always had kind of a retro vibe. 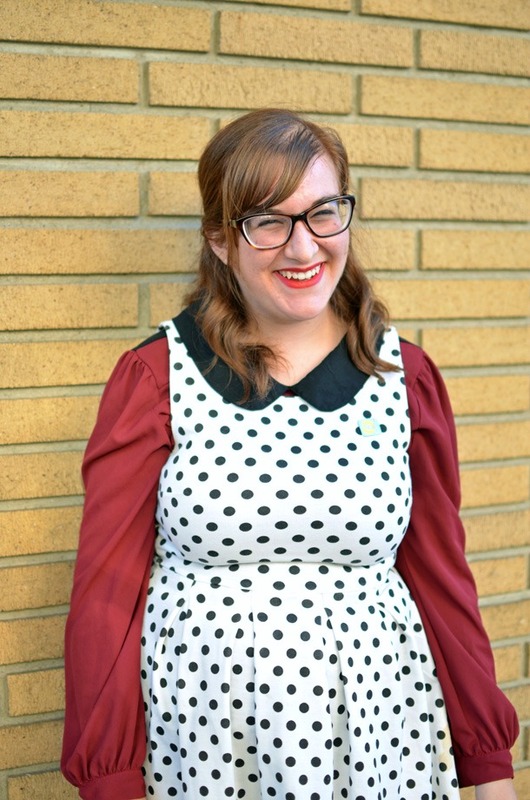 I hear that in some cultures, polka dots bring good luck so maybe it doesn't actually hurt to own a closet full of them?